Apple charges $200 to upgrade a MacBook Pro’s RAM to 8GB, and $300 to upgrade a Mac Mini’s to 8GB, but you can do it yourself for just $34. RAM has been getting cheap for a while, but $33.99 for 8GB of name brand memory has to be some kind of record low. The super low price includes free shipping from Amazon, just don’t forget to send in the $10 rebate form. The 8GB comes as 2 x 4GB DDR3 SODIMM’s at 1333MHz. This RAM works in the 2011 MacBook Pro and 2011 Mac Mini series with Core i5 and Core i7 CPU’s, but the easiest way to double-check compatibility is to go to “About this Mac” and look next to ‘Memory’ for a MHz speed, you are looking for 1333MHz. If you jump on this deal, don’t forget the rebate form (pdf) to save $10. If you’re not sure you’d benefit, you can easily check if your Mac would perform better with more RAM, and you can read our review of an 8GB upgrade for a 2010 MacBook Pro, but for the outrageously cheap price of $34 it would be silly not to max out a Macs RAM. This is a great deal, double-check the compatibility in “About this Mac” and enjoy! Amazon also has a sell your stuff. It isnt as complicated as ebay and sometimes they buy it from you and resell themselves, although they don’t pay as much to purchase from you as you would get for selling through them. Since many people are purchasing ram through amazon to get it cheaper. you should sell true apple ram there fast. I bought this upgrade awhile back for 10 more dollars. 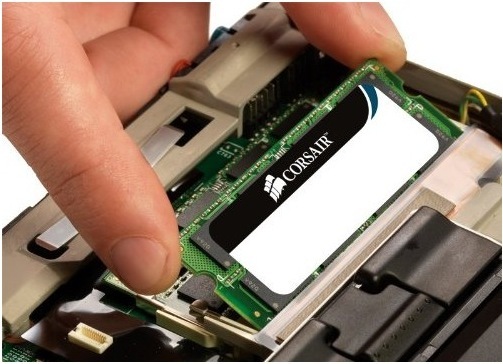 Just wanted to let anyone know who may be hesitant, the corsair RAM is fine. Worked without a hitch in my new 15″ i7 MBP. Anyone know if this RAM is compatible with the Mac Mini Late 2009? You should get 1066 MHz speed RAM. Otherwise you’ll get overheating. About 4GB or 8GB, I’m on the same boat with my Polycarbonate Macbook Late 2009 (white model). Y U NO SHIP TO BRAZIL? I paid $59.99 before rebate a month ago. caused my 2011 MacBook Pro 17 (MacBook Pro 8,3) to kernel panic (BSOD) about once every 4 days. I am so glad I took it out. WOW! Best deal. Been trying to find a good deal and this was the best. Ordered mine. Can’t wait! Can you guys post a link or something on how to install it on the computer? It’s hardware stuff so I don’t want to take a chance. Apple has some great guides, just find your MacBook Pro in the list. It’s basically just a matter of undoing a few screws and then popping in the new RAM modules. Has anyone tried to put more than 8 GB of RAM into the 2011 mac mini? For example, could you bump it up to 12 GB (2x6GB) or even 16 GB (2x8GB)? I asked Apple this question and there response was an unofficial “maybe.” If you’ve been successful I would love to know. It may be, for me, the difference between buying a mini or a new mac pro (Nov. 15?) Thanks all! @Aaron: The official maximum RAM on the Mac Mini 2011 is 8GB due to the fact that 8GB sodimms were not yet available for the Mini. But now that they are, you should have no problem getting 16GB into your Mac Mini. They’re still a little pricey when compared to the cheap 8GB RAM kits, but only you can decide if the added cost is worth it. does the 16gig upgrade work on a 15′ i5 mac book pro. and does anyone know if you can upgrade the hdd to a solid state while I’m’m at it without losing everything.. I have a MAC MINI 2011 model. Some days ago I bought an 8GB Ram kit from Amazon (Corsair 1333mhz PC3-10666). The problem is that my MAC MINI is only recognizing 4 GB. How can I solve this issue ?